Jack is currently a volunteer at the Westchester County Archives. Before retiring, he worked at IBM for over 28 years. 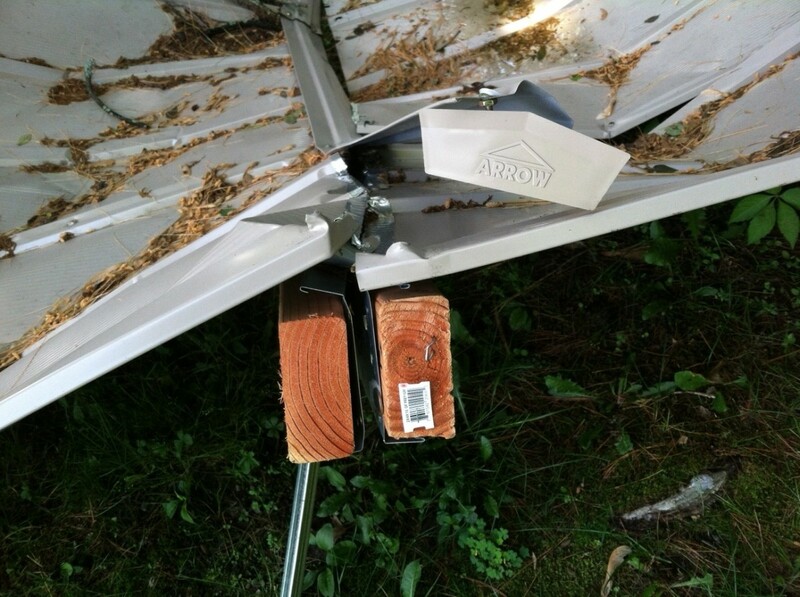 This hub is to document my experience owning the Arrow Storage Shed model SR1012. 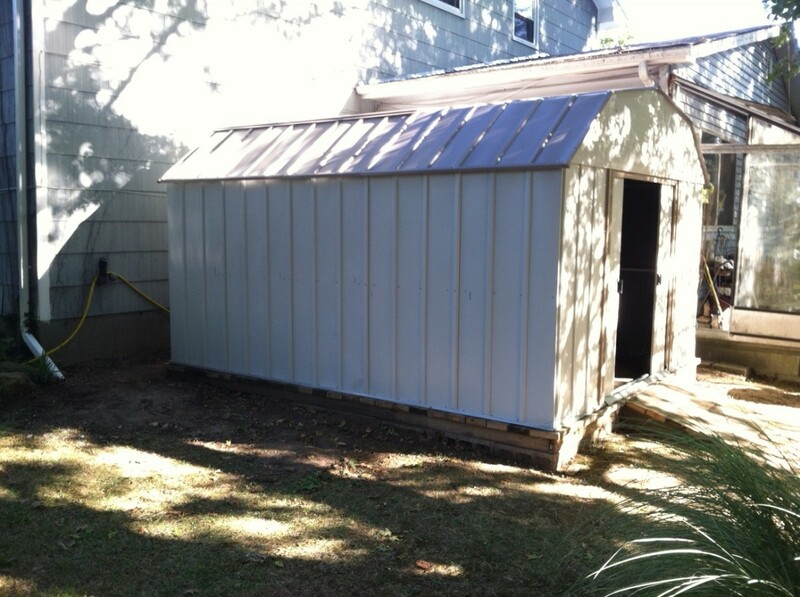 This shed is a 10'x12' metal shed with a barn style roof. I purchased it online from Sears.com last August 2014. With the help of my son, we assembled it following the instructions from the Manufacturer. It took us over 2 days of labor to complete the assembly. I was proud of what we had accomplished. Over this winter, in the New York area, we had quite a few snow storms with significant accumulations. However, it was not worst than some other years. We have lived in this house over 30 years and had owned another Arrow shed that lasted 15 years. 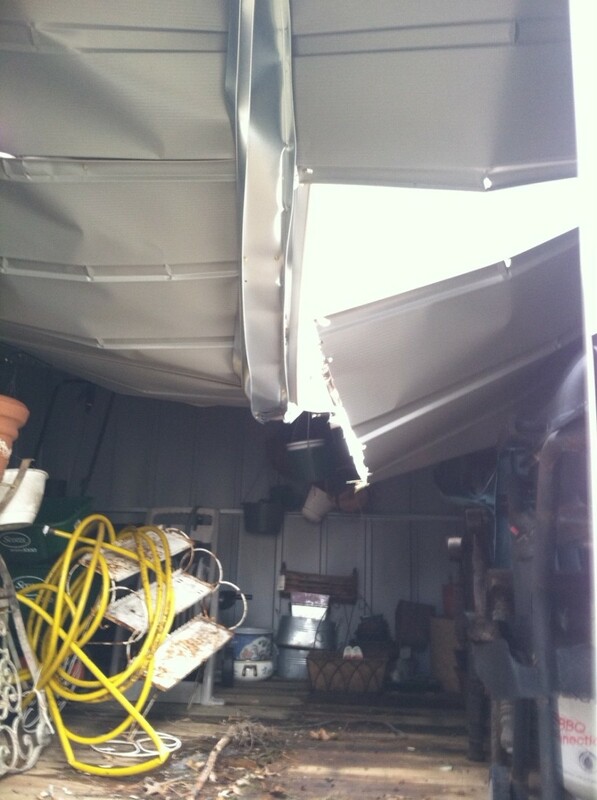 To our surprise and disappointment, one day in March of 2015, we discovered the roof of the shed had collapsed. 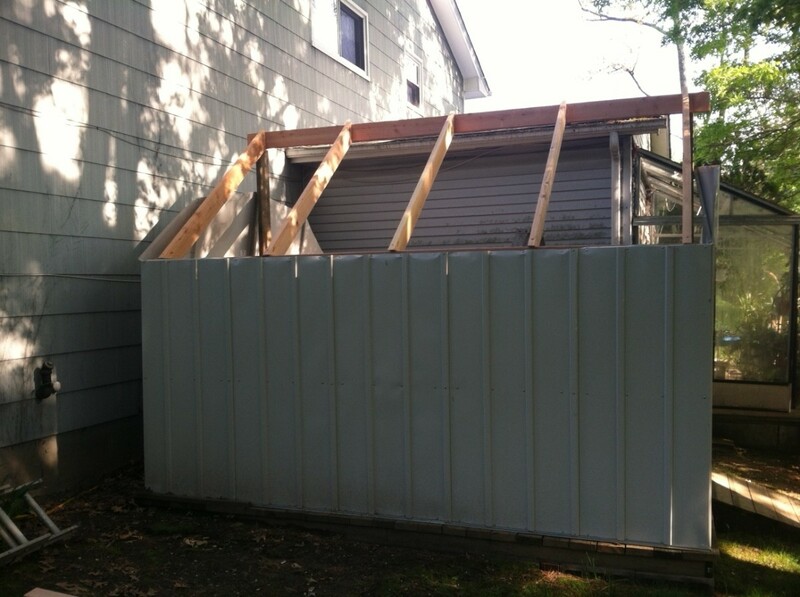 After surveying around my neighborhood, I noticed that none of my neighbor's sheds were damaged. There were a variety of makes and models and they had all withstood the snow storms. I decided to contact Arrow to report the problem and seek help with a solution. 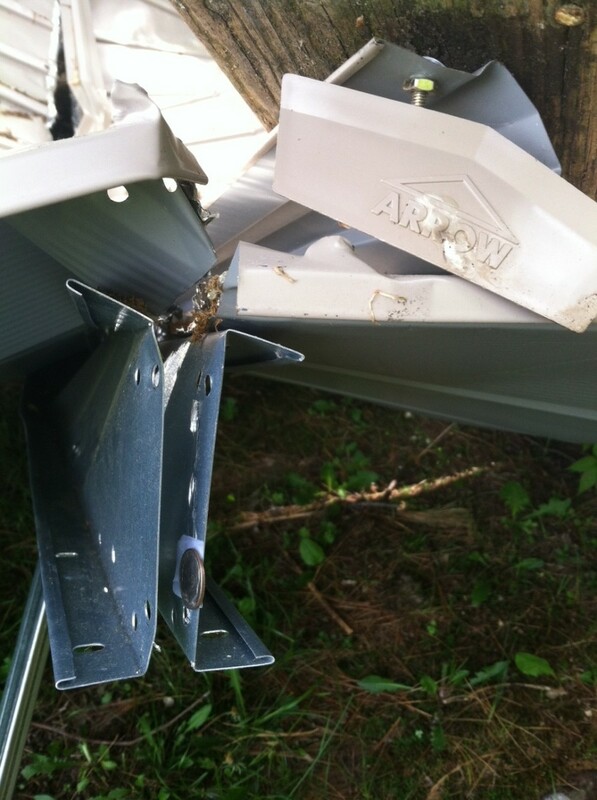 After some back and forth email and sending photos of the damage, Arrow responded with an offer. They would replace the roof parts but I would have to pay for the shipping cost of $105. They also provided instructions on strengthening the roof with some wood support called the "snow kit." Basically, I was given two options. (1) One is to take the offer from Arrow and try to repair it. This would cost me additional shipping fee and additional cost to reinforce the roof with a snow kit recommended by Arrow. 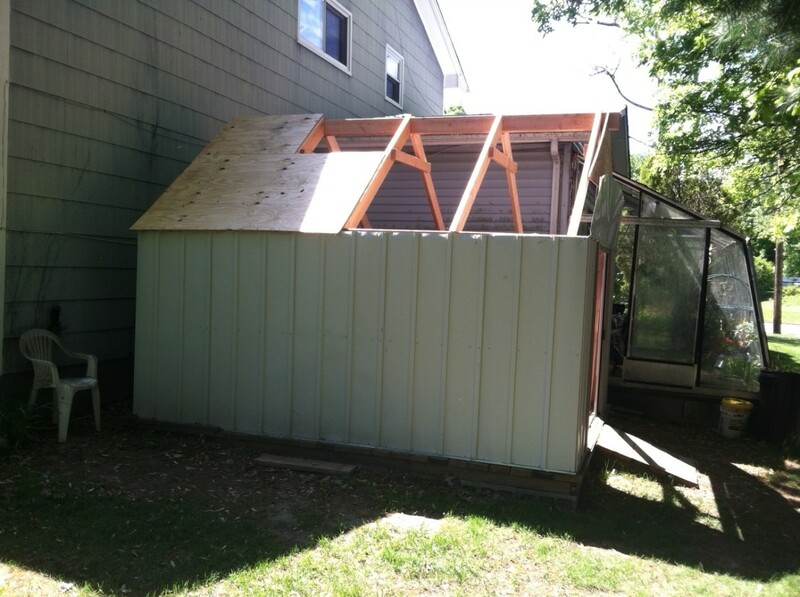 (2) Two is to tear it down and purchase a new different shed incurring much more expense. My wife, thinking out of the box, thought of a third option. I could try to repair it myself. Since the side walls and front doors seems to be OK, I decided it is the better option. 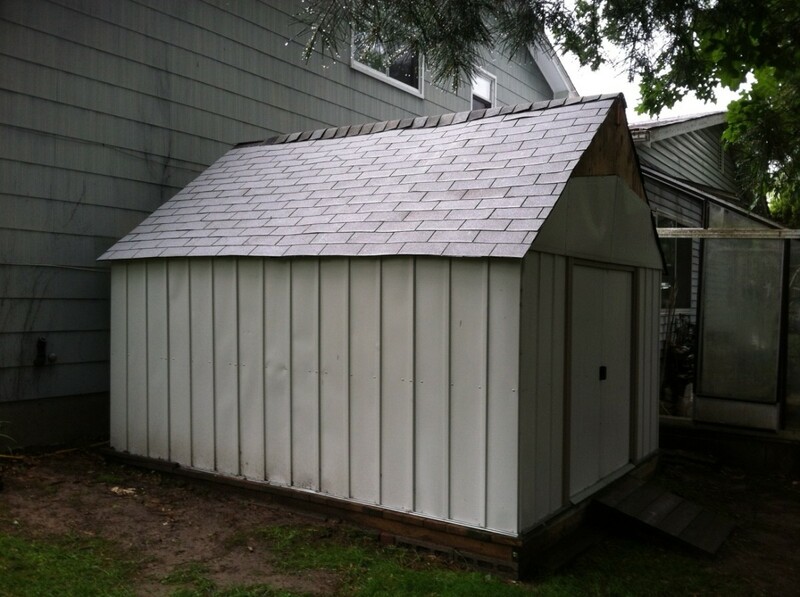 The main problem with the Arrow SR1012 Barn Roof Storage Shed is the design weakness of the center beam and the 2 side beams. Here is a photo of what I mean. 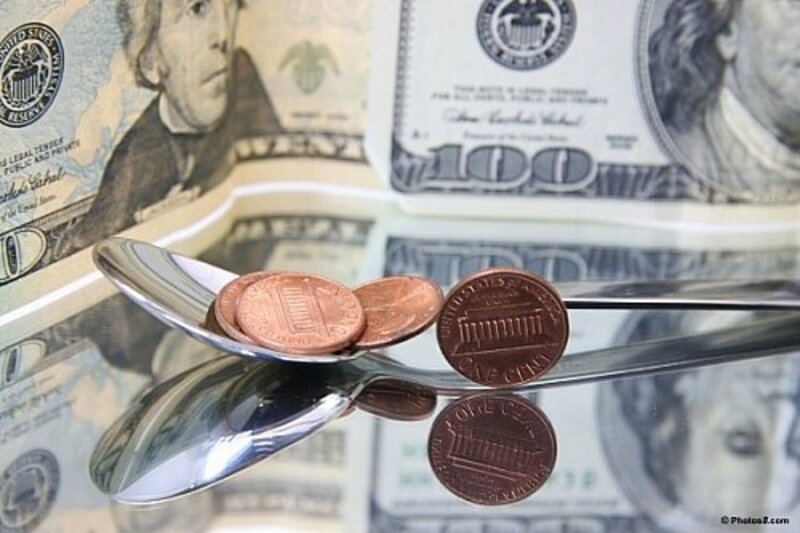 The center beam consist of two metal brackets back to back that are thinner than a dime. Notice the taped dime next to the side of beam.There are two additional beams to create the barn design consisting of a single bracket. 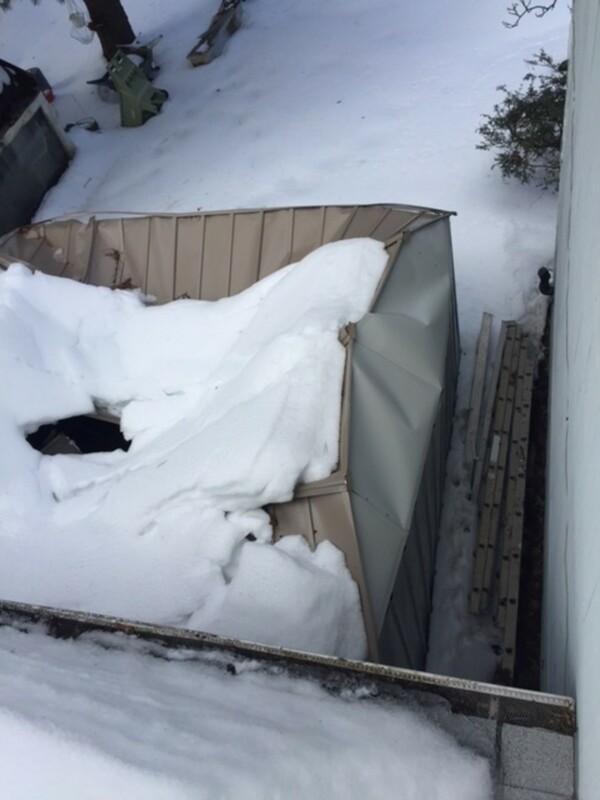 It is just insufficient to hold up the roof under load such as snow and ice. As can be seen from the photo above, the beams just twisted and folded under the weight. 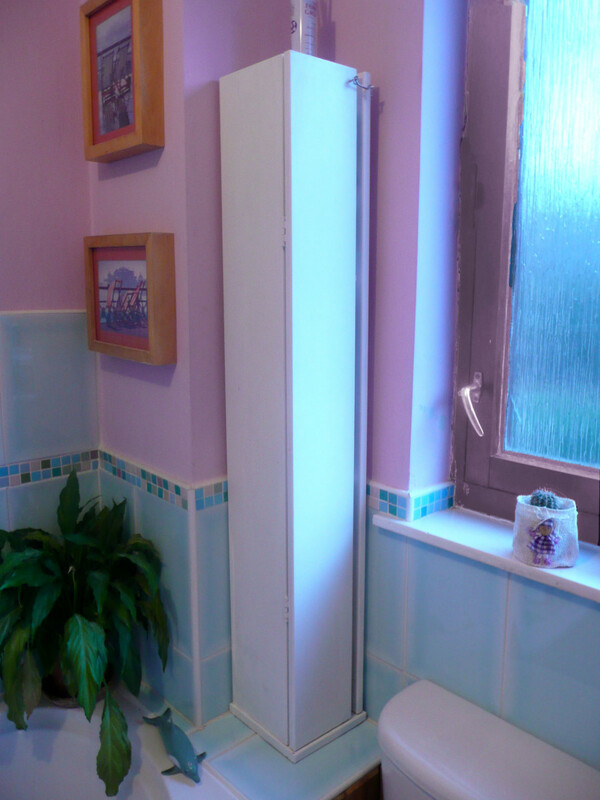 My design goal is to keep the solution simple, cost effective and long lasting. Here is what I came up with after spending about an hour sketching it out. 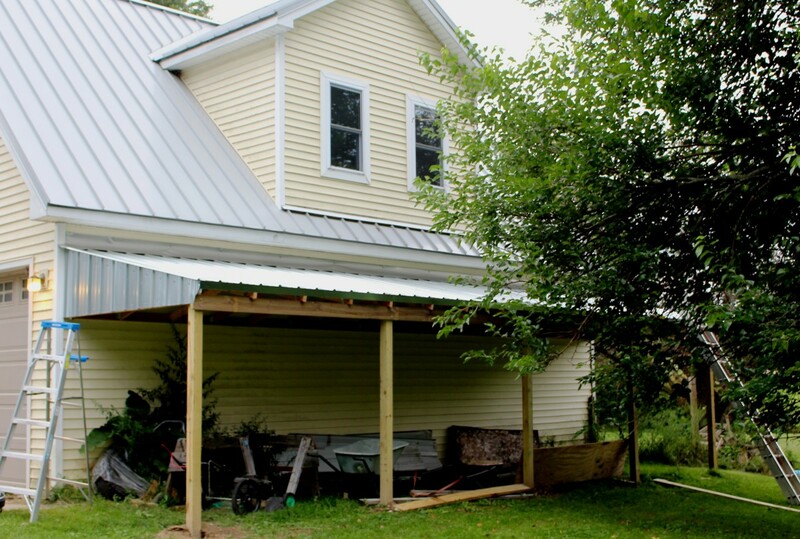 My fix includes support for the new roof using 2x4 studs. I simplified the roof to an A frame stye instead of the barn style. 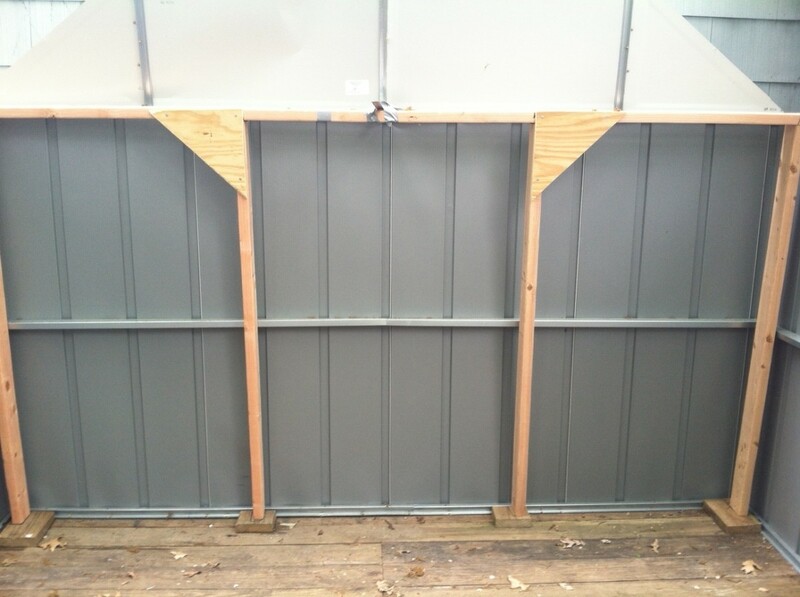 The roof structure is constructed with 2x6 beam and joists. 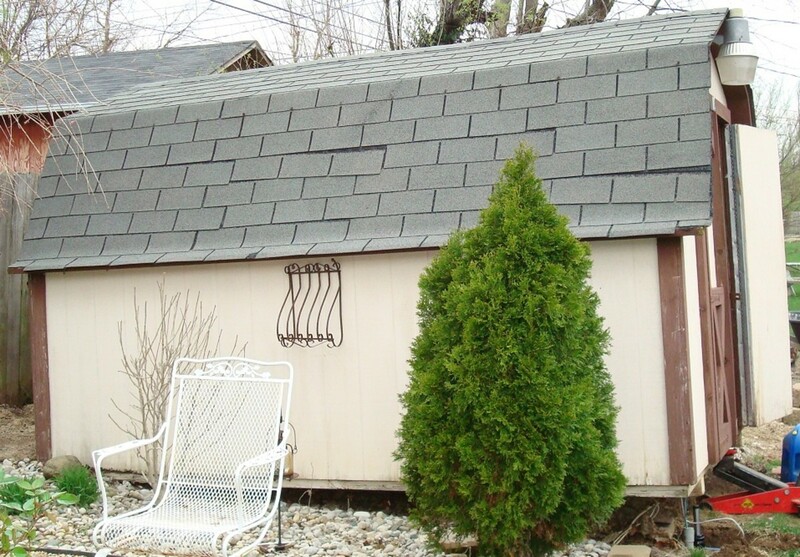 The roof is covered with half inch plywood and tar paper and then shingles. 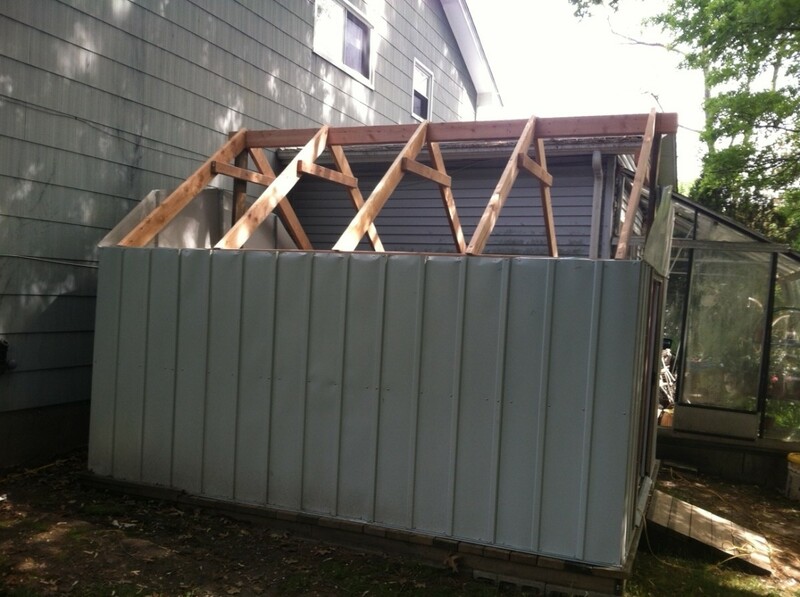 I added additional plywood to cover the front and back of the roof. Estimate cost: Approx. $200 in parts and 20 hours of labor. Here are some photos at various stages of the construction. 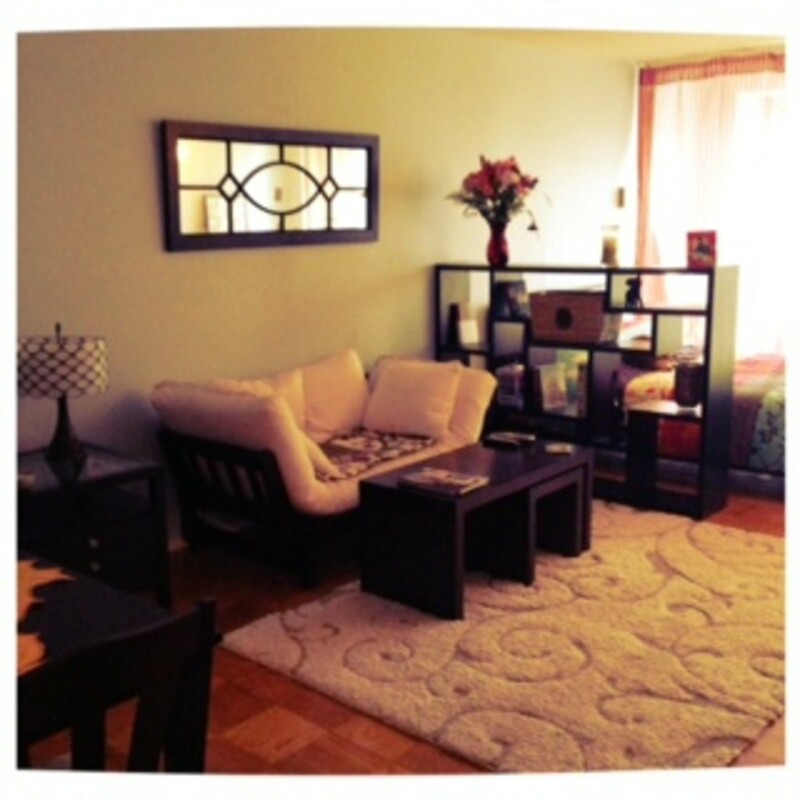 If you are lucky enough to have a unit that has not collapsed yet, you can fix the potential problem with ease. All you need to do is to add four 2x4 support beams to the current design. It is a $20 fix and you can avoid the headache. Notice the photo that demonstrate the fix. 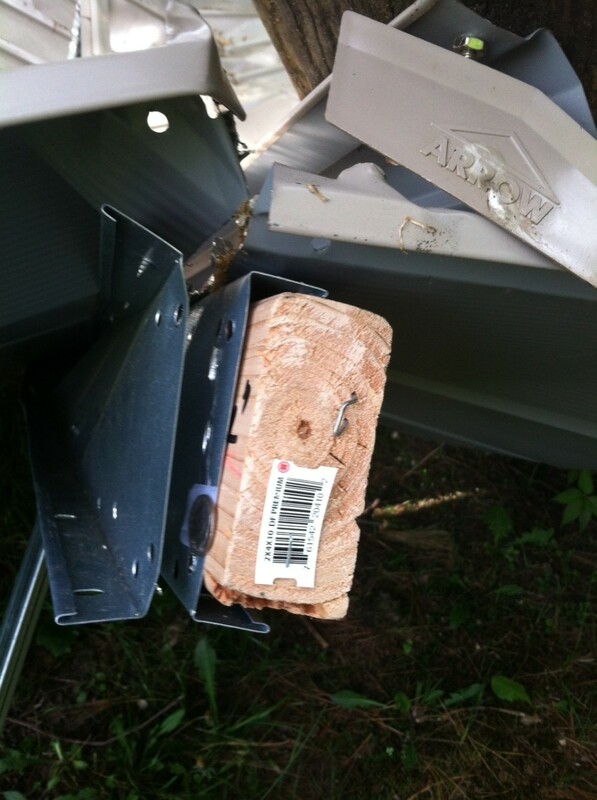 A 2x4 stud will fit inside current beam and will provide the needed support. It can be fastened with some nuts and bolts. Heed my advice. This whole event was so unnecessary if the manufacturer had produced a decent product. 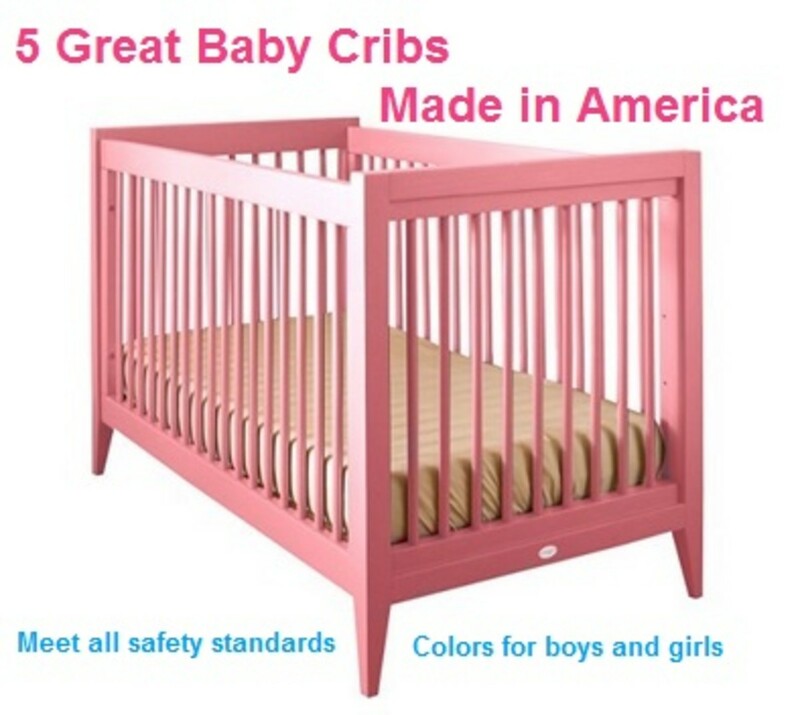 This product is unique because of the extensive labor requirement to assemble it. In most other situations, if a product is defective, one can just return it for a replacement or refund. I cannot do this for this product. Once it collapsed, I had little recourse. I'm just glad I found a solution. I hope other owners, who found themselves in the same situation, could learn from my experience. I reported my experience to the Better Business Bureau of St. Louis. They try to negotiate a settlement with Arrow Shed on my behalf. However, Arrow have decided to close my case because I had declined their original offer. I am grateful to them for trying to help in my case. Even though I did not get the resolution that I was seeking, I am satisfied that I did my part. We have received your most recent correspondence in the above-mentioned complaint. You have indicated that you are NOT satisfied with the business' response in the matter. The business has not made any further concessions to their original response. In an effort to try to obtain a resolution to the dispute, the BBB has pursued mediation and/or arbitration without success. Unfortunately, the BBB cannot pursue the matter further, thus this complaint case is now considered closed UNRESOLVED. The Better Business Bureau develops and maintains BBB Business Reviews on companies in our service area. This information is available to the public and is frequently used by potential customers. The company's level of cooperation in resolving this complaint becomes a part of their public file with the Better Business Bureau. Here is the item listed on Sears. Checkout the reviews where at least one other owner had the exact same problem. Sort reviews for newest comments. My review appears on May 4, 2015. How To Recycle An Old Armoire or TV Cabinet. Repurpose Old Furniture. This bit of advice of advice will sure come in handy Jack Lee for anyone who needs to use it. You also have a good backing with the wood 2 by 4's for building shelves along the walls if you desire too. 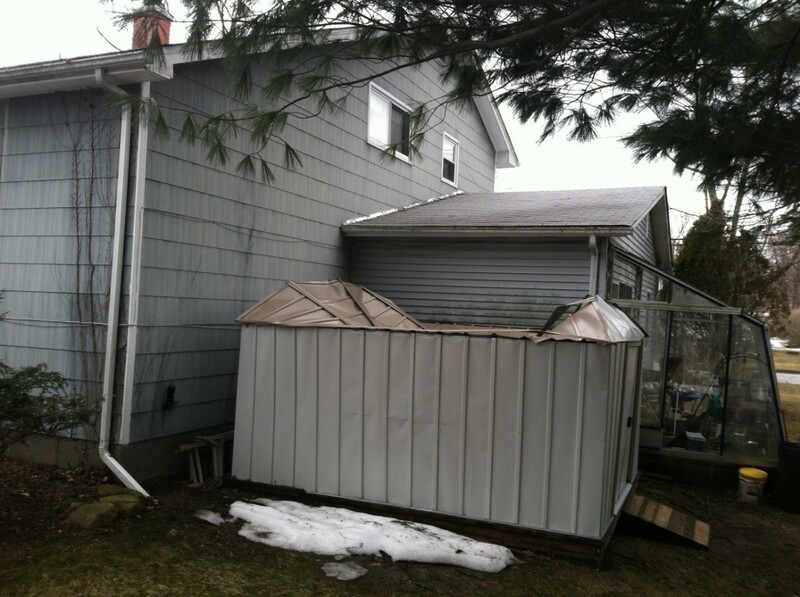 You were really lucky that the snow collapse didn't damage your walls as well or the shed might not have been fixable. You seem to be a hard working lad Mr Jack and this must turn out to be an inspiration to all who hesitate to do their backyard work on their won. Really appreciate your efforts.